When we think about the restorative properties of nature, we usually think of presences: the presence of greenery, the presence of birdsongs, the presence of physical exertion, etc. What may be surprising is the absences within nature. One of the most notable is the absence of noise. Constant loud noise is rare in non-human nature; there may be short periods of a few days or weeks where large breeding colonies of birds make a ton of noise for much of the day and/or night, but these are the exception rather than the rule. And even in these mass gatherings, the animals are generally able to get away from the commotion to hunt for food for their young. 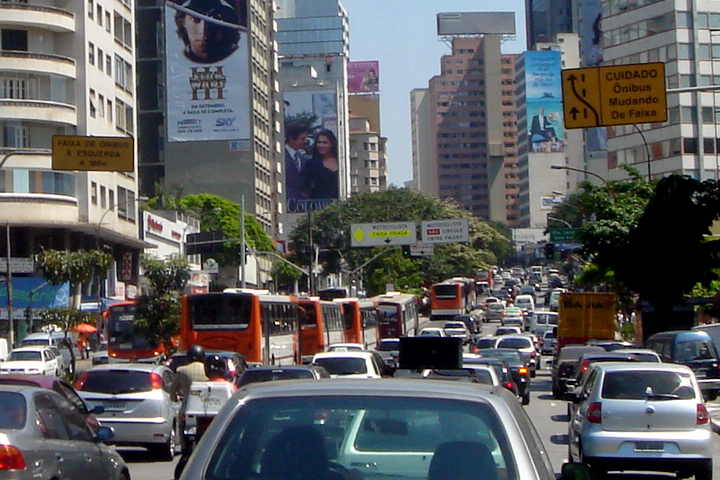 What many people experience, particularly in crowded urban areas, is an unnatural level of constant noise during most or all of a typical twenty-four hour period. Our brains are only wired to filter out so much noise for so long before fatigue sets in; we may think that we’re dealing with it alright because we don’t often notice it consciously. This is a case of self-defense. One of the most pernicious effects of noise pollution is stress responses. Have you ever been so annoyed by a sound that it distracts you from what you’re doing? Maybe it’s intermittent, so you manage to relax a little bit, but then a few minutes later there it is again! Eventually you’re anticipating the sound so much that you never actually relax; you’re constantly on edge waiting for the next attack on your peace and quiet. Now multiply that by all the noises you hear on a daily basis: traffic, construction, people, car radios, neighbors’ TVs and footsteps, and so on. Even if you don’t realize it, you may be experiencing heightened stress because of these and more. You might be able to keep functioning, and even say “Oh, you get used to it.” But your body never really does adjust. And this puts a lot of strain on your physical and mental health. So what’s a city dweller to do? Well, for one thing you’ll have to accept that there are some factors simply beyond your control. You can’t stop traffic, nor can you make construction nearby go any quicker. For these, your best bet may be to accepting they’re a part of your reality, at least for now. You can also negate some of their effects; meditation helps to lower blood pressure and other stress responses, and can also help you come to some peace with the way things are right this moment. A white noise machine, noise-canceling headphones, electric fan, music or other technologies can help drown out noise, especially when you’re trying to sleep. Look into soundproofing solutions, too; even something as simple as putting egg crate foam on the wall between you and a noisy neighbor may help. If there are some noises you may be able to do something about, you might lower your stress by feeling more in control of the situation. Let’s say you have a neighbor who likes to mow the lawn very early on Saturday morning when you want to sleep in. You can try politely asking them to wait a little later in the day (some neighbors can be bribed with tasty baked goods, too!) If they persist or outright reject your request, check to see if your city has a particular time of day before which loud noises cannot be made. If so, you may be able to file a nuisance or noise ordinance violation–but be prepared for your neighbor to be very unhappy about this. It may be better to just grin and bear it. Okay, so your everyday environment may be noisy. What about taking quiet breaks? Just as your muscles appreciate a chance to rest when you sit back in a recliner or curl up in bed, so your entire system may really crave some time away from the everyday racket. If you’re fortunate enough to live near a larger park, try to make some time each week to go there. Get as far away from traffic as you can, and avoid places with big crowds of people like ball fields, picnic shelters or outdoor amphitheaters. Again, you don’t have to do anything in particular; sometimes just laying in the grass and watching the clouds go by is enough. But you can also use that exercise in the previous paragraph here. Try not to get annoyed if someone walks by speaking loudly, or if there are children playing nearby. Either let the sounds drift by, or pick up and mosey on somewhere else. Assuming your schedule and other circumstances allow it, you may wish to take a day per month or two to head out into a more remote location. City parks are nice, but there’s nothing quite like being somewhere where you can’t hear traffic, and the only human noise may be a few hikers or campers now and then and the occasional plane off in the distance, if even that. There are plenty of possibilities here: an afternoon hike, taking a non-motorized boat out on the water, camping in a quiet location, horseback riding on a trail or the beach. One of my favorite quiet times when I was a teenager in the Ozarks was to drive out to the backroads, find a bridge over a little creek, and sit and watch the water go by, with the only human sounds being the occasional car driving down the dusty gravel road. If you really want to “detox” from noise pollution, try arranging a longer time in nature, maybe a few days to a week or so. You’ll notice that the more time you spend away from the overwhelming barrage of noise, the better you feel. Just for fun, you might try keeping a journal of how you feel, starting from the first day and going all the way through the end of the trip. The reality is that you will eventually have to go back to your usual noisy settings. Try not to get stressed out about it near the end of your quiet vacation. Instead, keep the memories of these peaceful places with you, and think of them whenever noise starts to creep in around the edges of your life. Pay close attention to how being relaxed feels during your quiet times, and remind yourself of that feeling whenever you start getting noise-stressed. This isn’t a substitute for actual quiet, of course, but if you start training yourself to not automatically respond to noise with stress and upset, you can help counteract the effects of noise pollution until you’re able to find some respite again. And in the immortal words of Depeche Mode–enjoy the silence!